Do you love to listen to audio books when you are doing laundry, driving, walking or whenever your ears are free? Compared to traditional books, audio books really bring us a lot of fun, but have you realized audio books you download or purchased form iTunes store or Audible are DRM protected, leading the incompatibility with portable audio players, like PSP, Zune, mobile phone. This is really frustrating. 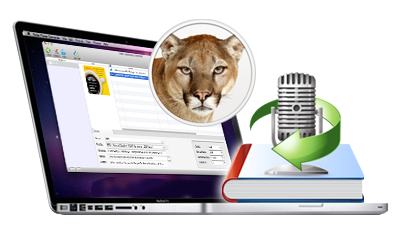 Well, I recommend you the best solution to free your audio books form DRM protection – using Ondesoft AudioBook Converter for Mac to remove DRM and convert audio books to MP3 with original quality. 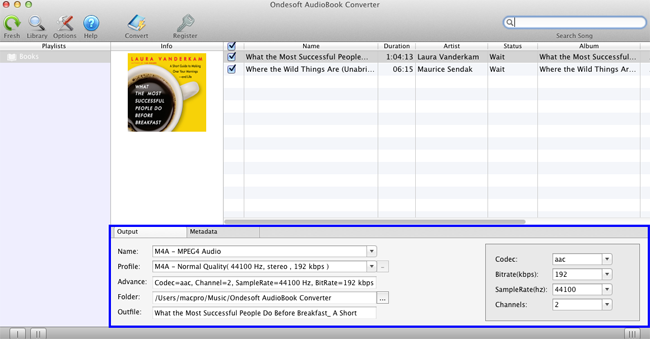 The trial version of AudioBook Converter for Mac allows you to convert 3 minutes for each audiobook. Get the full version to remove the limitation. All audiobooks on your iTunes Library of Audio Book are listed here. 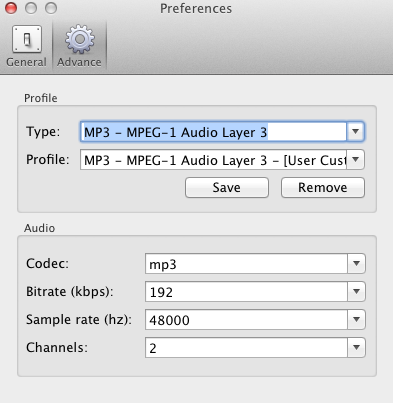 You only need to select or search audiobooks you want to convert instead of importing them manually. 2. Click "Options" button to show up the Preferences panel, where you can change the conversion speed – from 1X to 16X; set filename format; choose to save metadata and chapters and other options in the General window, or configure a new profile and save it in the Advance window. 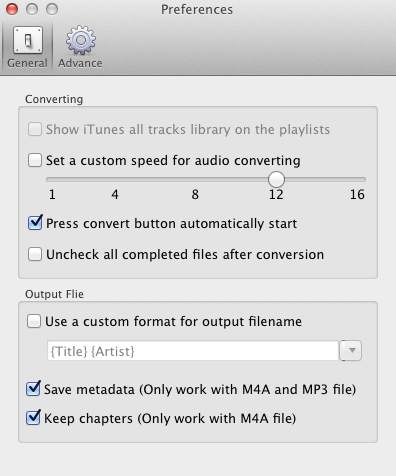 Click "Convert" button to remove DRM from audiobooks. After conversion, go to the folder and find the DRM-removed audiobooks. 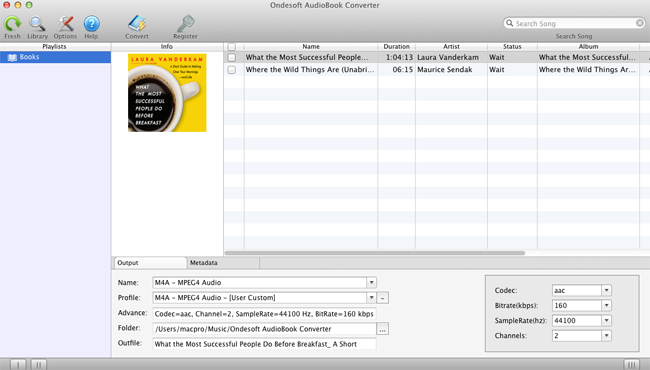 All in all, Ondesoft AudioBook Converter for Mac is a must-have iTunes audiobook Converter to remove DRM from any audiobooks.